What can I say about Jamaica? I love the people, music, food, entertainment and most of all just basking in Jamaica's beauty. I will be on my way October 14th, 2009. This is my fourth trip and I plan to have many more. If only I could afford to buy a villa, I would never leave. Can't wait to see you. 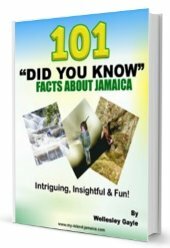 Share Your Own Jamaican Experience or Read Other Stories.